Modern fisheries management, whenever it has been successful, is based on the process of the sub-allocation of a total allowable catch (TAC) among individual fishing interests, and this is so at both the international and national levels. It is not generally known that, at both levels, the first application of sub-allocation involved the herring (Clupea harengus) fisheries in the Gulf of Maine, Bay of Fundy area. This report, which is in two parts, deals with the events from the early 1960s to the early 1980s when the crucial decisions were first made. This first part refers to agreement at the international level and the second part discusses the internalization of the same issues within a country, namely Canada. The process of"allocation" is now referred to as"National Allocations", "Individual Transferable Quotas" (ITQs) or "Enterprise Allocations" (EA's) but all are designed to avoid the uncontrolled scramble for fish that unallocated catch limits generate. Until recently there was almost common agreement that the seas beyond the three-mile national limit were freely available to all countries so that international management involved international agreement. Obviously this is a pre-requisite to national management of waters off countries' coasts and it is convenient therefore to treat these two issues separately. In 1961 I joined the Lowestoft laboratory in the United Kingdom to work with the most distinguished group of workers in the modern field of fisheries dynamics and management. These included Ray Beverton, Sidney Holt, David Cushing, John Gulland, Ray Harden Jones and others. Over the following eight years I became familiar with this field and worked on both the quantitative and general biological theory of fish and fisheries. I myself worked on Atlantic herring, which, of course, is found on both sides of the North Atlantic basin. In 1968 I witnessed the virtual cessation of the East Anglian herring fishery, which had been sustained over centuries and was the one being studied at Lowestsoft. At one time it had been among the largest fihseries in the world, but there was no agreement whether the collapse was, or was not, the result of overfishing. I had developed my own views on this while at Lowestoft and took advantage of an offer to work on the same species on the other side of the Atlantic in Canada in early 1969. During the 1960s, west Atlantic herring stocks were being threatened by the transfer of fishing effort from the East Atlantic, and by an increase in the offshore Canadian herring fisheries and I hoped that my views and experience would be appropriate to the developing problem in the West Atlantic. This report deals with a success story for a West Atlantic herring fishery and a story of virtual complete failure in the east Atlantic despite a large difference in scientific and management effort in the two areas. Figure 1 shows the reported landings for herring from the western and eastern sides of the North Atlantic. To understand the biology of herring it is necessary to outline the history of the Atlantic basin, theories of which have undergone drastic revision over the period covered by this report. In doing this I will indicate aspects of this study of more general interest for both fisheries management and fish biology. Atlantic herring belongs to the Clupeomorph group, one of the most ancient groups of teleost (bony) fishes, the group which sustains all of the largest and most important marine fisheries. The clupeomorphs date to the Jurassic period, but have not given rise, apparently, to any of the"modern" groups, maintaining their essential biological and ecological niches for over 150 million years. The Atlantic herring is a true representative of its basic form and ecology and feeds almost exclusively on zooplankton for the whole of its life history. Most modern marine teleosts, the ground fish, flatfish, tunas and mackerel produce large numbers of eggs whose larvae feed on zooplankton, but which then take up an astonishing variety of food habits as they develop into the adult form. As there are no large plants in the sea, marine primary productivity depends largely on minute plants in the diatom group. These in turn are fed on by small crustacea, the copepods, which are fed on by almost all teleost larvae and which form the main food of herring throughout their life. This implies, of course, that herring-like fishes were amongt the earliest colonizers of the developing seas and oceans, the original forage fish, providing the opportunity for the evolution of the marine teleosts as a whole. What is important to realize is that neither diatoms, nor copepods, appear in the geological record until the Cretaceous era, at about 100 million years ago and that the Cretaceous is recognized as the period of the adaptive radiation of the teleosts; which are now easily the largest group of the vertebrates and which includes more than 25 000 species, found in both marine and freshwater. Over the whole of this period, there has been no significant evolutionary or ecological change in the status of Atlantic herring, and this is relevant to the herring problem, and especially to attempts to relate herring biology to its management history. It is also known that for the last 100 000 years, or so, this planet has been affected by a glacial period that peaked about 70 000 bp and, ended quite abruptly from about 12 000 to 10 000 years bp. At its peak, virtually all of the areas currently occupied by herring were under ice cover, and therefore uninhabitable. Further, a most important issue of the management problem in herring particularly involves the existence of numerous apparently independent spawning groups or "stocks" of herring with specific associations with their current spatial distributions. These associations must be of relatively extremely recent development in relation to the many scores of millions of years of their evolutionary history. It is unlikely that there is adaptation to existing physical and environment conditions in their present areas of distribution as it would be a sure recipe for extinction. As the existence of stock-specific situations is at the root of the biological problems raised by fishery management questions, this is important. Until recently it was thought impossible by most geologists that the continents had changed their position or broken up and moved over the lower layers of the earth's crust, but evidence mounted in the 1960s to confirm the old theory of "wandering continents" put forward by Wegener some 50 years earlier. It became accepted that the original earth's land mass formed a single `continent" which split into new continents that drifted apart, a process which is now being measured! The split formed first as a freshwater lake, identical to those of the continent of Africa mentioned above, and which then became marine when an opening developed to the surrounding oceans. This strongly suggests that the North Atlantic Basin was the scene of the evolution of the modern bony fishes as the prime occupants of the oceans of the world. Fisheries management is a relatively recent phenomemon, for although a scientific organization was formed in 1904 to study marine fishes, the International Council for the Exploration of the Sea (ICES), it was a European scientific body with no formal link with any management system. Modern fisheries management was first mooted in 1949, the result of collaboration between Canada, the United Kingdom and the USA, and although the UK wanted it to cover at least the whole of the Atlantic, and possibly also the Pacific, the United States saw this as an Atlantic coastal-state issue and itself produced a protocol for its inception, which was accepted. The organization was set up in 1949 as the International Convention for the Northwest Atlantic Fisheries (ICNAF) and came into being in 1951. It should be noted that it was a Convention, i.e. a binding treaty, and operated under an appointed Commission. Direct organization and responsibility was shared by the USA and Canada, and amongt its objectives was the achievement of the "maximum sustained catch" of fishes. It was the first convention to include a list of specific management "tools", e.g. 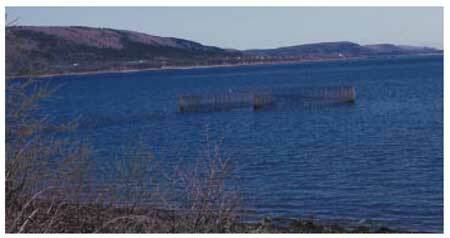 closure of spawning grounds and fishing periods, etc. and it was directed mainly towards groundfish management; herring did not become involved in its work until the mid-1960s. It was also dependent for its management advice on "scientific considerations" and only on these . The Commission included a scientific arm, which took a direct interest in its meetings; this too was a new feature. But while the Commission could use the tool of the "total allowable catch" there was no provision for its sub-allocation to individual countries. The exact manner in which the Commission worked is important because those who have commented on its management have failed to appreciate the context in which these changes were made. The convention noted that "The Commission may, on the recommendations of one or more Panels, and on the basis of scientific investigations, and economic and technical considerations, transmit appropriate proposals for joint action by the Contracting Governments, designed to achieve the optimal utilization of the stocks of those species of fish which support international fisheries in the Convention Area". Note that it is not "maximum sustainable yield", and that "optimum" is not defined and thus has its proper definition as the best in the current circumstances and with the current objectives. This protocol was approved by the Commission on June 5 and 6 1969 and came into force on 15 December 1971 when all member countries had ratified it, but sub-allocation was not available until that date. This was a most important limitation as we shall see. In the eastern Atlantic, following the war time cessation of fishing, fishing effort increased markedly in the late 1940s to levels well beyond those of the pre-war period. Two very important areas that were affected within a decade or so involved the largest fish stocks and the largest fisheries of the area. These were the Norwegian herring fisheries, the largest in the world at the time, and the East Anglian fishery, also extremely large and one that had affected European history for a thousand years. In both cases the young stages of herring were being exploited in huge amounts; much of the catch, for all age groups, was being used to manufacture fish meal to support the relatively newly-expanded industry of stock feeding to pigs, cattle, chickens and the like. However none of the herring biologists of the time considered, or were convinced, that the stock and catch declines in both areas was the result of "overfishing". In addition this period saw the emergence of the USSR and members of the communist block as potential large new fishing countries in "international waters". In the early 1960s for example, Russia formed fishing bases in Cuba! 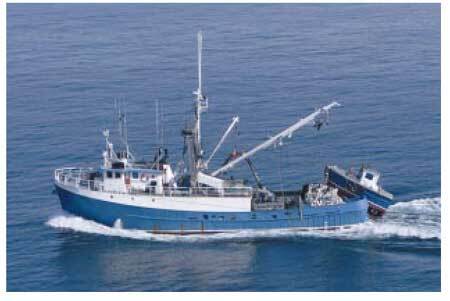 Other countries transferred fishing effort across the Atlantic to waters off the coast of the USA and Canada, and as members of ICNAF, had a perfect right to do so. Even so, the key event that triggered the changes that I will describe took place off the west coast of Canada, where a large fishery for meal had developed on the sister herring species of the Pacific (Clupea pallasii). Without warning, this fishery, in 1966, recorded a drastic decline in catches to a degree that forced the then fisheries Minister of Canada to close the fishery in 1968. Those boat-owning firms that had invested a large capital in new and large boats moved them to the east coast of Canada and insisted that the Minister, who was himself from the West Coast, take action to ensure that the east coast stocks were protected from a similar fate. The Minister commissioned a report from a west coast scientist and an administrator and ordered the east coast research branch to both take part in its preparation and be responsible for the action that was finally called for. This led, in late 1969, to a large meeting held in Halifax attended by regional scientists and industry personnel representing herring processors. The meeting excluded fishermen's organizations, which at the time were virtually non-existent. I had recently begun research on east coast herring and its fisheries and was the only scientist there with first hand knowledge of management methodologies from the east Atlantic, and was required to present the case for management. By then I had become convinced of the fact that excess fishing effort could extinguish herring stocks and had demonstrated this for another clupeid fishery, the Californian Sardine (Sardinops sagax). I was therefore able to present a case quite different in its approach from that attempted by more orthodox scientists, and which could be easily appreciated by a single diagram. The industry representatives accepted my arguments as they did my emphasis on the need to concentrate on fisheries for human food, as being much more economically justisfied. Immediately after the meeting I was approached by the Science Director for the east coast and offered a position as "Coordinator" for a departmental programme of herring management. This was a major new initiative for the department, which at that time had no potential management structure in place and whose research component had downplayed management-supportive, or "applied" science as being of little value compared to "academic" science. Although some individuals were involved in work supporting the ICNAF organization, their work was not given much weight in considering promotion prospects. During the latter part of 1970 I organized sampling and analytical procedures at the St. Andrews Biological Station, including the introduction of internationally approved biological protocols and the collation of relevant catch data etc. In addition, an international programme to survey a major spawning area on Georges Bank, off the Gulf of Maine was undertaken, which was successful in traversing a large egg-bed to yield vital evidence to establish the nature of the spawning procedure that at the time was only poorly known. Over the same period I also completed an analysis of Bay of Fundy fisheries, which revealed a discovery of, and heavy exploitation of, schools of juvenile herring that resulted in an enormous mortality of these stocks. This obviously posed a major threat to recruitment to the adult stocks, but more to the point, showed that Canada had initiated a type of fishery that, in Europe was now being blamed for the continuing decline of the European stocks. This, in turn, threatend the prospects of obtaining international agreement on management, especially with the USSR who were particularly concerned with the effect of juvenile fisheries generally, and who was the single country whose acceptance was most desired. In October 1970, I became Coordinator and Chairman of the newly created Herring Working Group of ICNAF. This latter was of special significance in that I became an Officer of the Commission and was able, when the need arose, to present the views of a scientist both in the official report, and directly to the Plenary Sessions of the Commission. This was not a trivial point, as will be seen. The year 1971 was seen as an opportunity to gain the attention of the various Canadian special interest groups, to explain the management situation and its opportunities and problems, and to get their agreement and support. But, there was a more pressing question to be resolved with the USA concerning a bilateral agreement with Canada made in 1970 for reciprocal fishing privileges. This governed the transfer of herring between the two countries, two fisheries of great importance to both. The first was a fixed-gear wier fishery, developed from the aboriginal trap fishery along the shore for mainly juvenile herring, which supported a canning industry for "sardines" and was contiguous with the New Brunswick shore and Maine coast line, well within the respective 3 mile limits. The fishery was almost a hundred years old and was for over much of its history the largest single commercial fishery in the area with a large economic and social impact in both countries. A meeting was called to revise the agreement in early 1971 with the intention of explaining Canada's programme for the extension of jurisdiction, which in 1970 had reached the stage of a 12-mile territorial sea and the closure of the Bay of Fundy and the Gulf of St. Lawrence to foreign fishing, both of which actions were not acceptable to the USA. 8. ONE MILLION TONNES OF HERRING??? In May of 1971 a meeting was called by the Fisheries Council of Canada in Ottawa. This council was the representative body for fish manufacturing interests for Canada as a whole and had a long and direct interaction with the government in Ottawa and the department's bureaucracy, who wished to be fully informed of the situation, which by now was receiving a great deal of media publicity, e.g. an article by a departmental scientist in Newfoundland claimed that a complete failure of herring fisheries could result unless management was quickly instituted. The need for management as soon as possible was fully appreciated and supported by the Annual ICNAF meeting in Halifax, which was attended by the Minister who made it clear that Canada was determined to achieve agreement on management measures, and the herring proposals were the first specific case to be considered. As had happened in Europe with herring there, there was general agreement on the need for management, but the discussion concentrated on the fact that under the current ICNAF protocol it was not possible to sub-allocate a TAC and that the different seasonal fisheries among the different countries meant that the total TAC could be caught by a single country if it was first in catching the quota that year. No agreement was possible. Because it was expected that the new 1969 protocol would be in place by the end of 1971, it was decided that there should be a special meeting as early in 1972 as possible to try and reach agreement on sub-allocations. Moreover, the specific scientific information needed to ensure that the appropriate proposals that could be made was identified and discussed so that the Herring Working Group could make "extraordinary efforts' to obtain it. The date was fixed for January 1972, and the FAO organization offered to host the meeting at its headquareters in Rome. This was the first time such an arrangement was made, and it indicated to all concerned that a real attempt should be made to achieve success. In the meantime, other important internal Canadian issues had to be settled. The first concerned a major problem that had two separate government branches at loggerheads over a central question; one maintained that management was essential at the earliest opportunity, and the other that the herring stocks in Canadian waters were, in fact, under-exploited. In 1966 a meeting in Fredericton had claimed that at least one million tons of herring could be taken each year in Canadian waters alone, and all attempts to challenge this were ignored. This general view was the subject of the work of The Federal Provincial Atlantic Fisheries Committee, the only group that involved provincial interests, and it became necessary for the views expressed there to be effectively challenged. Our attempts internationally would be worthless if a formally organized government body held conflicting views on the need for management, and I prepared a document putting forward the case for management to be presented at their next meeting in October. The opposing view was also presented but the case for management was fully accepted, and, subsequently, the Committee was allowed to lapse. Also in October 1966, two other meetings were held. The first of these was with New Brunswick fishermen and was organized by the New Brunswick Deputy Minister of Fisheries. At the meeting, views were discussed on a proposed organization to record and analyze fisheries statistics on a real-time basis, the Canadian Atlantic Fisheries Information Service (CAFIS). This was accepted by the fishermen who promised their support on the understanding that the information would be used to ensure the health of the resource by rational management. This organization developed sophisticated plans, although the major fisheries processing companies refused to join on the grounds that their information gave them a necessary competitive advantage. Alas, the project was cancelled without notice or explanation by dictat from "Ottawa" and after much effort had been put into its organization,. But, on a more promising note, in November of 1971 a meeting was organized by the Industrial Development Board at the Bedford Institute of Oceanography in Halifax for which invitations were widely extended to all fisheries interests. The intention of this meeting was to present details on the preparations being made for the forthcoming ICNAF meeting and to discuss issues that were relevant from the point of view of all special interests who would be represented. This was easily the most representative meeting on fisheries ever held in Canada. Over 90 people took part from both coasts of Canada, Europe and USA. All the maritime provinces were represented by Deputy Ministers of Fisheries, there were 28 processors and an equal number of fishermen and a number of individuals from the Fisheries Operations Branch, Halifax. The Department was represented by three biologists from the two "herring" research stations at St. Andrews and St. John's. The November 1971 meeting at the Bedford Institute of Oceanogaphy was successful in convincing all groups involved in the exploitation of herring of the size of the resource potential I put forward. This was less than half the estimate made in 1966 by the Industrial Development Board, and which had been, in the meantime, accepted as justification for a huge increase in meal plant production, through the Board's influence with the Federal-Provincial Atlantic Management Committee. The November meeting also accepted the opinion that immediate control at the national and international level was required and therefore of the key importance of the forthcoming ICNAF meeting and the need for cooperation among Government and industry to prepare for it . While there were comments on the failure to consider fishermen's views, a suggestion by the Dean1 of the fishing community that a "multidisciplinary" body be set up to interact with the government programme on real-time basis was adopted by the Minister who announced the next day of the proposed formation of the Atlantic Herring Management Committee. This replaced the Federal-Provincial committee, and all suggestions of large unexploited Canadian stocks were removed from the management stage. This meeting and its results received front page headlines in the biggest Halifax newspaper. This was the first time that herring management, indeed, fisheries management had became a public issue in Canada, and the treatment was accurate and detailed. I was cited as saying that unless stringent management measures were initiated immediately the Canadian herring fisheries could be lost within, even, two years, and the leading fish companies were quoted as strongly supporting the joint industry-government control group. It must be stressed that nothing like this had been achieved in the groundfish fisheries, which were several years behind in their attempts to involve co-ordinated action by industry. The Halifax meeting had been timed to precede the crucial Special Meeting of ICNAF to be held in January-February in 1972, in Rome and I learned, at short notice, that the equivalent organization for the East Atlantic planned an Extraordinary Meeting of its Commission, to discuss the North Sea Herring, to be held in Moscow in December 1972. The situation in the east Atlantic was generally accepted as bad, and without any agreement as to co-operative international management action. Many of the same countries were involved in the ICNAF meeting so that attendance at the meeting was likely to prove informative and helpful. The Moscow Meeting was planned to produce proposals to be discussed at a later meeting of Ministers and represented, almost, a last chance to achieve rational management of the herring resources, as agreed by some of the attending countries. The meeting was considered by most delegates as a failure. No agreement was reached to extend conservation measures for conservation of North Sea herring and even the weak proposal that was agreed to was thought unlikely to be approved by member governments, a belief that was confirmed soon after. Nor was the Ministers meeting more successful. This was despite the fact that all delegations agreed that the situation was serious, even desperate, in much the same way as did the ICNAF delegates in June, and all paid lip-service to the needs for fisheries management! The fact was that some delegates did not wish for agreement because of commitments they had made, which could not be met under any management constraints. Thus Norway had recently agreed with both the USSR and Iceland to close their winter fishery for Norwegian herring and severely restrict their fishery on juveniles. The North Sea was the only place they could divert effort and they could not accept its virtual closure. The Danes, beside their commitment to North Sea juveniles, had recently allowed the Faroese to invest heavily in a purse-seine fleet, which had to go somewhere. Both these situations were well known to all the delegates who could express concern over the lack of management knowing that it was an extremely unlikely development at that time. However, neither of these countries would be involved in the ICNAF meeting, and it was the USSR and Poland who were the most likely to take a similar attitude to Norway and Denmark on the other side of the Atlantic. While at Moscow I learned that the USSR fisheries ministry had been put in an impossible position by a decision that Russia's fish catch was to be doubled within a short period, and that this was seen to be impossible by the Russian minister. There seemed to be an attitude that favoured conservation as a possible excuse for failure to reach the economic goal. There had also been an economic decision affecting Poland, which was relevant and that both of these factors played a part in the ICNAF story. However, there were other factors operating. The Northeast Atlantic Fisheries Commission (NEAFC) did not have a forum for direct interaction with fishery scientists, who operated within a purely scientific organization, the International Council for the Exploration of the Sea, and interacted with the NEAF through a liaison committee. The ICES case that was presented put far too much emphasis on the inadequacy of data, of the poor catch statistics and insufficient biological sampling. This allowed their report to be treated as a"provisional" document rather than a guide to action, and it quickly became irrelevant to the issues that were raised in the general discussions. In addition, and compared to my own views on the "stock question", their analysis of the North Sea stock situation was not detailed enough to allow the proper allocation of catches to the biological unit that was to be protected. It should be remembered that this issue had been carefully defined at the June ICNAF meeting. Finally, the recommendations were too general and in terms of such imponderables as "total catch limits" and alternative measures such as closed seasons and areas, with little specific power to limit catches. An important conclusion was that the failure of this meeting had thrown doubt on the value of international commissions in general, and a similar failure at ICNAF would re-enforce any doubts. Comments to this effect were made by several delegates, and as a senior member of the US Fisheries Department was also present as an observer, this view could well prevail in the USA. As will be seen, this was avoided by the results of the ICNAF meeting. Indeed, ICNAF became a convenient forum in which advances towards the extension of jurisdiction became acceptable for sovereign countries, including the USA. The commission meeting was preceded by a scientific meeting that addressed the specific question raised at the June 1971 meeting concerning the stock structure in relation to the administrative context of the conservation proposals and to the possible relationships between the adult spawning stocks and the juveniles exploited by the inshore fisheries. It was first agreed that stocks fished behind the Canadian closing lines in the Gulf of St. Lawrence, in Newfoundland waters and the northern section of the Scotian Shelf were not associated to any degree with the three stocks off Southwest Nova Scotia, the Gulf of Maine and Georges Bank. These, it was agreed, needed international control measures. It was also accepted that each of these three spawning stocks was independent of the other two, which meant that each could have its own management procedures. Finally, it was accepted that in each of the areas there occurred other stocks, but these were independent and so small as to not affect the value of the management measures on the major stocks. The relation with juvenile fisheries in the area was not as well clarified, but some progress was made in showing the adult Nova Scotia stock was probably not fished in the New Brunswick- Maine "sardine" fisheries. this meant that appropriate management had to be applied to all juvenile fisheries in the area. This, of course, was the central issue concerning the USSR and it happened that while the USSR would not accept any agreement until the juvenile question was resolved, the official Canadian position was that nothing could be agreed which in any way interfered with the New Brunswick sardine industry. Either could theoretically affect the other and the problem was apparently intractable. It happened that the empirical and historical evidence could be interpreted to show that while there was no excuse for the more recent purse seine offshore fishery for juveniles, the "sardine" fishery could be absolved. A serious decline in juvenile catches after some 80 years of continuous and stable catches followed the development of the offshore fisheries on Georges Bank that indicated that the effort level inshore was not too high and that control of the adult fisheries was necessary for both fisheries. After consultation with the USA in 1971, the offshore juvenile (purse seine) fisheries were closed. This coincided with the appearance of a large year-class, which was then virtually untouched by this fishery and there was quantitative evidence that this had a large and beneficial effect on recruitment, and probably, to adult stocks not exploited by Canada. This satisfied the USSR delegation and cleared the way for the necessary calculations to determine recommended TAC's and the subsequent discussion amongst the delegations as the their fairest sub-allocation. It should be noted that the USSR had accepted that because of the reliance of coastal communities on "local" fisheries, coastal states deserved special consideration. This was consistent with Russia's polite, even considerate, approach to the discussions, which had established a friendly relationship without ignoring the real differences in objectives. However, for the first time in the history of ICNAF the scientific report was challenged as to its validity, and this by the intervention of Polish diplomats in Rome before its presentation to the Plenary Session for formal acceptance. The arrival of the head of the Polish delegation revealed the problem. Under the recently decided agreements of the COMCOM, the communist block economic commission, Poland was to be responsible for the building of all new fishing vessels, and this would increase available effort whereas for conservation reasons, a reduction was required. This was at a time when Polish workers were beginning to organize their own trade unions, in a movement which led, eventually to the break up of the "Soviet" block. Later, the Polish head of delegation approached me at a social occasion and asked for a frank opinion as to the validity of the scientific report, which I defended. And, at the Plenary Session I had to justify this before all the delegations. The challenge was rejected, which, in fact, strengthened its significance and the Polish Head of Delegation immediately flew back to Warsaw to get new instructions that allowed him to accept the final agreements on the quotas for all the stocks being considered. This was but one of the "political" factors that operates at all times in international fisheries negotiations and under virtually all conditions during negotiations in general, as those experienced in such matters are aware. Management has scientific, technical, social and political aspects, and in this respect is, and always will be, multi-disciplinary in context, a reality that is discovered anew in most fishery text books written after the event. The rest of the discussions at the 1972 ICNAF meeting involved a great deal of bargaining among the different countries, but this did not affect the reaching of agreements for each of the stocks, together with the ancillary agreements that were required. Unlike the NEAF meeting less that two months before, the meeting was considered a complete success and had a number of influences, some obvious and others rather unexpected. The results of the 1972 ICNAF special meeting were quickly recognized as indicating more promising developments in fisheries management. Herring, of course was not the only species that required management in the area and much had been done to prepare for the opportunity that now appeared. At the June 1972 Annual Meeting held in Washington DC, agreement was reached for 16 ground fish stocks, and by 1974, virtually all species of all types in the ICNAF area were under allocations and TAC controls. Moreover, it became accepted that even newly discovered stocks of fishes should be protected from overfishing, and the concept of"precautionary quotas" was established and applied. In addition, and after a most valuable scientific discussion, it was decided that species interaction could affect the validity of assessments on single stock fisheries and this led to the proposal that after all quotas for a particular country had been allocated, there should be a reduction in total catch by that country to the extent of 20%, to be decided in its application by the country itself. Of course, all of this has not dealt with the question of the monitoring of catches to ensure that quotas are respected, and this problem is virtually a permanent one, but beyond the scope of this report. There were other, more significant results, for Canada's strategic goal was the extension of jurisdiction to the 200 mile limit. Perhaps, the Law of the Sea meeting in 1958 and its lack of result was the reason for Canada's unilateral actions in the 1960s culminating in the 12-mile territorial sea and the closing lines across the Bay of Fundy and Gulf of St Lawrence. Canada now saw the success at ICNAF as an opportunity for more"unilateral" action towards extension by the process of bilateral or multilateral agreements with individual or groups of countries. ICNAF was a convenient umbrella for this tactic and, by 1977, had allowed Canada's claims to territorial extension, which also affected the LOS negotiating process itself into accepting such methods. Canada's action also forced the USA to take action, one that to begin with was not particularly favoured because of the possible effect on freedom of passage for its naval forces around the world. Another effect was to draw academic attention to the question of fisheries management, to the extent that it became almost an obligatory subject for universities in countries with marine fisheries. Finally, the ICNAF experience provided a real opportunity for the education of scientists, public servants and diplomats in the "science" of management, although I hope I have demonstrated, that "natural history" is perhaps a better term. There was an inevitable result on the effect of national quotas within Canada on the way in which fisheries were conducted. Essentially, this transferred the problem of competition among nations into one among individual national boats and groups of fishermen, and the story of this "internalization" of problems and its resolution in eastern Canada in the later 1970's follows. The success of the Special Meeting on Herring in Rome caused wide-spread Departmental interest and in early March I proposed a meeting in Ottawa for senior members of various departmental branches to whom I could present the important facts and discuss their implications. Virtually all the branches of the Department were represented and with the news of Poland's acceptance of the ICNAF herring agreement, it became clear that even in 1972 Canada would have specific responsibilities in monitoring and reporting on herring catches under her national quota. Any failure on Canada's part could affect the fragile international situation. This responsibility would involve all the major branches including Conservation and Protection, Economics, International Affairs and the Fisheries Research Board. The Fisheries Research Board, in addition, would have responsibility for assessing the biological affect, hopefully positive, on the health of the resource. It was agreed that this area might be dealt with under the aegis of the Canadian Atlantic Fisheries Information Service (CAFIS) meetings. The Conservation and Protection Branch had already begun preparation for the drafting of the necessary regulations and had included in these, provisions for compulsory catch reporting by fishermen, and with recognition that all sections of industry would be needed for their support. In the event, the CAFIS plan for real-time reporting of catch effort information, including catch locations, failed to win the support of the major boat-owning firms, although independent boat owners, especially in the herring purse-seine industry, were in agreement wih the plan's objectives. Thus, support for CAFIS from Ottawa Headquarters was suddenly withdrawn and the programme lapsed. This reflected a fundamental difference of opinion within the research and operation arms of the Department on the relative importance of recording and reporting catches and analyzing their biological effect, which has been a constant problem since. A report by the representatives of the Development Incentive Programme also revealed problems concerning a possible imbalance between resource potential and the increasing pressure put on it by Government grants - both federal and provincial - to subsidize construction of new plants and boats. The inflated expectations of total catch for herring had been successfully reduced, but another issue was foreseen in the meantime. The adult herring fisheries were overwhelmingly directed towards a low-priced and low-employment meal-industry and already was grossly overcapitalized, in terms of plant capacity. On the other hand, the facilities for the use of fresh herring for the human-food market were virtually non-existent. The impact of this situation on subsequent events will become clear. It was pointed out that the Economics Branch responsible for these issues in Ottawa was being given little or no guide-lines or instructions on policy, but analysis of the relevant acts shows that grants should be granted only if sufficient resources were shown to be available for the appropriate facility. It was agreed therefore, that for herring facilities, the Co-ordinator for the herring programme would pass final judgement on this aspect. The value of meetings to encourage communication was accepted and that continuing contacts could be facilitated by the office of the Co-ordinator, Atlantic Herring Programme. Such meetings encouraged an essential development of informed interaction between the headquarters level and the "local" level represented by the Atlantic Herring Management Committee and the focus for the biological aspects in the St. Andrews Herring Programme. Thus, it was possible to bridge administration gaps by personal interactions between informed individuals that significantly reduced misunderstandings and conflicting views. The first Law of the Sea meeting was held in 1958 and was followed by a further meeting in 1960. These meetings failed to define limits of territorial sea and fishing zones and Canada, with the longest coastal area in the world, planned a series of unilateral actions to achieve its objectives of complete control over its marine resources. In 1964 Canada extended fisheries control a further nine miles beyond the ancient three-mile territorial sea; and in 1971 the three-mile territorial sea and the nine-mile fishing zone were replaced by a twelve-mile territorial sea. Also in 1971 special fishing zones were established in the Gulf of St. Lawrence and Bay of Fundy and in areas of the west coast. In 1972 the ICNAF agreement on catches promised a more favourable reception to Canada's actions and a group of senior managers in Ottawa began building on this development. They planned the large expansion in the fisheries departments on both coasts, in preparation for the administrative need when jurisdictional extension became a reality. Their tactics were to negotiate bilateral agreements with major ICNAF countries by 1976; those with Norway, USSR, Poland, Spain and Portugal who had accounted for 88% of the total foreign catch had been signed. In the meantime, Law of the Sea meetings in 1974, 1975 and 1976 had provided a Revised Single Negotiating Text that recognized a new concept in International Law, a 200-mile inclusive economic zone. This allotted sovereign rights over fish and other living and non-living things but reserved freedom of navigation. Canada then announced its intention to assume this authority as of 1 January 1977 having got ICNAF to accept that the already-decided 1977 TAC levels would be modified to allow Canada to take as much of the quota as was needed. It was agreed to replace ICNAF with a similar body to deal with issues involving borderline stocks and interaction with Canada fishing zones. This meant that all of the scientifically approved herring TAC off Canadian coasts was available to Canada and this was a valuable stimulus to the development of the Bay of Fundy Project. It should be mentioned that none of the earlier claims by Canada had been accepted by the USA, who were almost forced to extend their jurisdiction at the same time as Canada while disagreeing with Canadian boundary lines. During the subsequent negotiations, that were finally adjudicated at the Hague, the USA ignored the history of Canadian Herring Management, which involved important cross-border stocks. As they had claimed a much superior record of management through ICNAF, their case would hardly have been supported by the successful Canadian management of herring as an important exception. The ICNAF agreement on herring was gladly reviewed by the fishing industry and publicly applauded in the Atlantic Press, especially as it was quickly followed by similar agreements on 16 groundfish stocks at the ICNAF June meeting. Within a year or so virtually all ICNAF stocks came under "allocated-TAC" control. What also became accepted was that all fish stocks, even those about with little was known, should be protected from too rapid an increase in exploitation. This allowed the acceptance of "pre-cautionary quotas", and ICNAF also discussed the implications of "species interactions". It was recommended that this could be allowed for by 10% reduction in each country's "global" allocation for all stocks. Both of these were new "twists" in international fisheries management practices. For those who took part in these developments this represented a gradual change in the attitudes that influenced and changed the approach to management problems at all levels, international and national. Even so, as early as 1972, the effect of an unallocated national quota on a national fishery within Canada became noticeable to the extent that fishing seasons became reduced and largely because of the scramble amongst individual boats to take the largest share of a "limited annual resource". In 1972 Canada reached its quota early, but this overrun by Canada, was accepted because of the newness of the system - which alleviated the situation. This problem came to a head in the 1973 Bay of Fundy purse-seine fishery. I was at that time working in Ottawa at the Ministry's headquarters and received a call from a senior operations branch member responsible for monitoring catches, who had been warned of a possible collusion between boats and plants to evade the closure of the fishery, for the Canadian allocation had been reached in mid-August, the season being virtually halved. Such an action, at that time, could have destroyed ICNAF's newly-developing programme, but, the current Minister made it quite clear by public statement, that closure would be rigorously enforced. Such action was necessary because Ministers in the past had been known to defer to strong requests from interested parties, and this was by no means unknown to the local departmental staff. Closure was successfully applied, but there was strong disagreement expressed by the industry which manifested, in particular, by a demonstration outside Saint John's Harbour in New Brunswick by virtually the whole seiner fleet. Many valid points were raised as to the social and economic impact on fishing communities of the new quota programme and this led to discussions with the New Brunswick component of the industry as to the nature of their newly emerging problems. These centred on the effects of some of the ancillary management measures on their access to the resource, which were exacerbated by their mainly "independent" seiners compared to the Nova Scotia company-owned boats. They had realized, as a group, that their position could be improved by getting more money from fewer fish. The situation on the West Coast, where fishermen's prices were at least three times as high, where both human food industry and a high-price (Japanese) roe fishery were prosecuted. On the currently available information on landed prices on the West Coast and with an expected Canadian allocation slightly greater for 1974, it was thought feasible that a good living could be achieved. However, there as a historical factor that prevented this - the iron-clad hold on the market by the local processors, to the extent that a member of Treasury Board, on this being told of it, referred to it as "Feudal". This price control had always existed and still does in a number of guises, as will be shown. A letter from a Campobello fisherman's wife after the 1973 demonstration outlined the effect on the community and the significance for the herring fishery to the Minister and asked for a review of the communities' attitudes to the herring problem (See box). It was apparent that herring virtually supported the New Brunswick herring fishing communities whole life-style, and they had recently lost their juvenile fishery to support the Canada-US case at ICNAF. In addition, an uncontrolled expansion of a Nova Scotia gillnet fishery was seen to threaten their acceptance off the Nova Scotian coastal area as exclusively an area for an adult fishery - which they had pioneered as a long ago as the 1930s and now dominated. They already saw that sub-allocation of the Canadian quota was an essential development, to protect special fisheries for lobster bait, for example, and to extend the season as this would allow better use of the resource and facilitate relations with the US under the Canada-US bilateral agreement. They also saw that sub-allocation was necessary for groundfish, as well as the herring fisheries component, but maintained that they had already paid their share of the cost of management and should be able to see a reasonable future. While the ICNAF herring quota for this stock was likely to increase, as well as the Canadian share of the TAC, the increased catch would not be sufficient to maintain their viability at the low price offered by the meal-manufacturers who ran the Canadian plants, a price that was only about a fifth of that enjoyed by West Coast herring fishermen. The Minister recognized the validity of their argument and the idea of sub-allocation became accepted as a vital aspect of any management initiative. As it happens, the 1974 season was better than expected and did not cause too much economic stress, but in 1975 the key market component of fish meal suffered a drastic drop on prices internationally and the situation by the end of the year became desperate. The stock itself had benefited from the large 1970 year class, but no good year classes had appeared since. The indication was that 1976 might see some half of the fleet bankrupted and, the main, indeed almost the only, buyer would be able to chose who would be lost to the fishery. By then the new Minister, Romeo LeBlanc, had demonstrated his willingness to work with fishermen and decided to take action. By late 1974 and during 1975 all hopes of an alleviation of the economic squeeze on the industry by a price increase for meal herring were dashed by a world-wide decline in the product price from as high as Can$600 per ton to only a fifth or so. Both seiners and weirmen could estimate its effect on their prices and concluded that a high degree of fleet reduction would be inevitable in 1976. This would allow processors to establish an even tighter, and perhaps irreversible, control on those that would be permitted to survive. An urgent approach was made to the new Minister, Romeo LeBlanc and was met with an unexpected and revolutionary response. He welcomed their interest, assured them of his intention to help, but invited them to get together and come up with a proposal that they themselves thought was appropriate. These would have to conform to the departmental policy on conservation but any likely solution would be backed by the Minister's power and influence. For the first time in Canadian history the exploiters of a natural resource were officially invited to play a positive role in its management, and to their satisfaction and benefit. His attitude was based on the acceptance that fishermen were the experts, and given their need and determination would in any case be essential for the success of any scheme. Those involved in "hands-on" fisheries management (and not simply answering such letters) will recognize the level of emotion that can be evoked, and personal consequences that can result, from changes in fishery management practices as described in this letter, written nearly thrity years ago. The issues remain as topical now as then - Ed. I am writing to protest the closure of the herring fishery in the Bay of Fundy. Are you not the minister of fisheries? Is it not your position to try to help the industry? Well, I must say that somebody has certainly made a booby. What do you plan to do with all the men who come under your ministry who are left without any way to make a living? It is al very well to say that they can have unemployment insurance. Some of them, my husband included, have never been able to be insured, nor to draw benefits in the off-season. Others have not been fishing enough weeks to have the necessary contributions. Could you live all year on two months salaary? I doubt it, even on the high salary a cabinet minister draws. Another thing, under the unemployment insurance act fishermen are considered seasonal employees and are not allowed to draw benefits until December. Most fishermen are in debt by the time the fishing season starts. They have to pay their bills before they can save any money. Most of these men have not enough money to live on, even for a few weeks. The ones who own their boats are the ones hardest hit. These men have obtained loans to purchase their boats and gear. They have to pay back this money and they have to pay interest on it. How will they make their payments with such a short fishing season? Has anyone thought about all these things. It is easy to look at the landed value of al these fish and say that the men are making a good living. Have you ever figured out how much of this is expense for food, oil, food, gear, nets, twine, paint, putty, gasoline, telephone, insurance; electronic equipment alone costs each boat about $50 to $100 per week. Now stop and think how the people who deal in these commodities will also suffer if our fishing is stopped. This is in addition to those people in the fish plants and packing plants that process herring. The fishermen will be allowed to go back to work in January. January brought no fish last year, nor the year before. Nor were there any in February, nor March, April, May, and very few in June. The time to fish is when the fish are there, and that is now. As with other crops, fall is trtaditionally the harvest of the herring. And it is true, no matter what the biologists say. The fishermen have always considered that the few summer herring would pay their back bills, but the fall fishing is what pays for the boat, helps to build and maintain their homes, puts food on the table, and a bit of Christmas for their families. I do not understand all this business about quotas. I think we should extend our fishing boundary out further and cut off all the foreign boats, and let our own people who live in Canada get a decent living. Fishing at best is little enough, but it is all we have in this area. when fishing is down, the whole area is a in a slump. My recommendation is that you let the men go back fishing. The why don't you come here and go aboard one of the boats for at least a week. This time of year it is a pleasure. The weather is generally good, not so much a chance of fog and you might find out what all this business is about. This would give you an opportunity to talk to the men. It is a sad thing that the officials making these laws cannot understand and appreciate the essence of these men. They have built up their fleet of boats by courage, hardship, and even deprivation. These are MEN and they are not going to give up their work easily. They are independent and they WANT TO FISH. For the past three years fishing has been very poor and most men have amassed debts of enormous proportions. Now, when a few fish have come, they are told that they cannot fish. It is not fair, in fact it is a crime on the part of those responsible. Thank you for your attention, I hope this letter gets through to your conscience. To initiate the process the Minister sent his Senior Advisor to the Atlantic area to meet with fishermen's groups in November and by December his advisor, the key representatives of the two groups and the ex-coordinator (the present author) were named as the group that would be responsible for the development of the process. The group was non-departmental and through the advisor could exercise the Minister's authority and influence whenever convenient or necessary, effectively bypasing the departmental bureaucracy. There followed dozens of meetings and discussions throughout the Atlantic provinces and in Ottawa, at which the Minister sometimes spoke and he developed a unique relationship with fishermen, gaining their respect and trust. The meetings covered any and all aspects of the fisheries. For example, an overnight meeting in Campobello revealed the full extent of the various methods used by them and the processors to under-report their catches. They appreciated that under a TAC arrangement, this would lead to under-estimated stock levels and that accurate monitoring of catches, a major objective of the project, would then be to their advantage. It became obvious that any successful management regime would depend either on frank and accurate reporting by the fishermen or the much more expensive method of full and continuous supervision of the whole operation, which in any case, could not possibly be set up in a reasonable time. In addition, their skill, expertise and knowledge would be an enormous help to all of the Departmental responsibilities and requirements. A meeting in Halifax in early 1976, including representatives from all groups of seiners was set up to deal with this, under my chairmanship. They had provided records of the individual catches from the 48 boats in the fishery in 1975 which totalled 92 905t but which had an enormous range, from 10 to 3851 tonnes. An essential aspect of the process was that no distinction could be made between boats on the basis of its group membership, the Coop or processor, nor of its provincial origin. The Coop was the name given to the Atlantic Fishermen's Marketing Cooperative Ltd. which had been set up for the seiners. Also, each boat was to be given an reasonable chance of financially surviving the 1976 season. However, in view of the large range of 1975 catches it was necessary to set a maximum and minimum quota of 1500 and 2500t respectively. Those below the minimum would be allotted the minimum and those above the maximum, the maximum. This arrangement required 8290t for the "low-liners", and the highliners were to contribute 6635t leaving a shortfall of 1655t. This was made up by a sliding-scale adjustment for boats in the 2100 to 2800t catch range, which meant all boats catching more than the mean level in 1975 . Each boat sent its 1975 catch records to St. Andrews for verification and it was agreed that the Chairman's decision on their validity would be accepted. Other criteria were discussed but this simple method was agreed to by all. This allotment procedure represented a revolutionary change in outlook on the part of notoriously independent fishermen, and to emphasize this, the most successful were themselves at the Halifax meeting. It was also decided that this was only a first attempt and that the basis could be changed at any time if it became necessary. That equal shares would be the best eventual outcome was recognized, and indeed was approached even in the next few years. The final figures were analyzed to compare the effects for the four main landing areas for the fishery, for the provincial breakdown and between company and Coop boats, and with no significant proportional change from 1975. It was agreed that any small group that wished to pool their quotas could do so if they registered their group and indicated their mutual interests and that this raised no problems or antagonism. It was an essential aspect of the system that, in addition to the seasonal boat quota, each boat was limited to a weekly catch of 100t. This was to ensure the extension of the season by the spreading out of catches over as long a period as possible. The central office of the Coop in Yarmouth, Nova Scotia was responsible for monitoring boat activity and directing landings to plants with a current need for food fish. The St. Andrews Biological Station was responsible for the setting up of a complete data recording and analysis system that could operate on a daily basis. This involved telephone reports of individual catches and subsequent confirmation by landing slips. The use of multi-copy uniquely-numbered landing slips that could follow the transport and use of the catch was a basic feature of the operation. The Departmental Atlantic Herring Management Committee, set up in 1972, has been meeting regularly ever since and was recognized as the formal route for the transmission of proposals and requests to the Minister and the sub-allocation proposal was presented to this committee on behalf of the fishermen. In the meantime, however, the Minister, and despite strong opposition from both the processors and some of his staff, had decided to invoke a section of the Fisheries Act that had been in abeyance, and in so doing made the meal industry unlawful. This put extra pressure on both the fishermen and the processors, who could not possibly process all of the projected Canadian catch but the Minister was determined to create conditions that maximized the possibility of full use for food . The Chairman of the AHMC had thought that even a doubling of the proportion going into food could take a few years! The Minister conceded that should it become necessary, meal use could be re-introduced later in the season. To increase the size of the food market beyond that possible for the Canadian processors the Polish State company Rybex was contracted to purchase 12 000t of raw herring over-the side at a price of Can$100 per tonne. This was most unwelcome to the Canadian processors but had the hoped for effect of a 100% increase in their offered price to the Coop for the same herring delivered to them. Some processors publicly condemed this development as reducing Canadian shore employment, which, for the food industry was small, and whose increase was a major objective of the project proposed by the fishermen! The 1976 allowance from ICNAF was 61 700t, almost 20 000t less than that reported for 1975. Some 60 000t were caught worth Can$3.7 million compared to the Can$2.7 million got for the 84 400t caught in 1975. Of the 60 000t, 30 000t went to Canadian and American plants at about Can$75 per tonne, 10 000t to the Poles at Can$105 per tonne and 2000t to Canadian plants for meal at Can$40 per tonne. This last entry drew attention to the realization that by late July the Canadian plants could not possibly handle all the available food fish and the ban was relaxed. That the plants were willing to pay almost twice their usual price probably had an effect on the Minister s decision. The Minister's stated objectives had been to increase fishermen's earnings, reduce meal production at the expense of food production and to create additional shore employment, and he had hoped for a giant increase in 1976, and he could claim quite justly, that he had achieved that aim. There had been problems of course, but none were serious and many identified technical difficulties that could be tackled in the off season. The reporting system had worked reasonably well at the St. Andrews Biological Station and even in this first year was far superior to that of earlier years. There was a degree of dumping but it was realized that this was largely the result of using larger seines to increase catches for the meal industry that had created the fishermen's dilemma. A real possible loophole of `hidden' landings in the US was identified and steps taken to eliminate it and the lack of sufficient ice in a summer fishery became the target problem, not only for the herring industry, but for many others. The year 1977 saw a major change in the project. It had been a non-departmental programme in 1976 and the operating responsibility mainly of the Coop's headquarters at the St. Andrews Biological Station. In 1977 it was transferred to the Regional Office in Halifax under the department's Regional Director General. He set up a committee, which included headquarter and local staff under the local Area Managers. This allowed a more sophisticated system of fishery monitoring and data recording by much closer use of departmental field staff. In addition, summer students became available at St. Andrews to deal with the incoming data, to begin with by hand, but later, and with far fewer staff, through use of a specially written computer programme. From the beginning the Bay of Fundy herring industry had received unusually large and detailed coverage in the Atlantic newspapers. The October 1971 meeting had been the subject of a main front page article in the largest Halifax paper, as was the 1972 agreement at ICNAF, and both were enthusiastically endorsed. With the conclusion of the first year of the Bay of Fundy Project, the coverage was more regular and indicated a definite bias towards the side of the fishermen, although strong opposing sentiments were also published prominently. The over-the-side sales were of particular interest as they had been unknown until 1976 and they had encouraged Canadian processors to double their original price paid to fishermen, as was mentioned with satisfaction. These articles drew attention to the key issue, that this had attacked the closed-shop monopsonistic arrangement were the fishermen had only one market for their fish, and compared the situation with that on the west coast where prices paid were four or five times as high. It concluded that fishermen were entitled to share extensively in the profit and that they had effectively formed a union that would stay in the [Fundy] Bay. In 1977 boats belonging to a meal processing plant that had performed noticeably less successfully than the Coop boats in 1976 were sold to their skipper-fishermen by the meal company. The federal department gave grants towards the down payment, and the Provincial government made loans available on favourable terms. These boats then joined the Coop, which greatly improve its fleet coverage, and it continued its role of directing the activities of the whole fleet to ensure processing quality of landed herring. The results of the 1977 season showed another large improvement for the fishermen and for the industry as whole. An estimated 98% of the catch was processed for food, the fishermen's price more than trebled, as did the value of the fishery, and plant employment rose about five times. This did not result in the Constant Critic apologizing! Handling facilities of all kinds were being improved to meet the demands of what was developing into a sophisticated fishery and investment in processing became much more acceptable and widespread outside the herring industry. Both sides of the industry had clearly benefited and all this with a federal investment of but Can$5 million. Figure 2 shows how catches, TACs and prices have varied in the four year period 1975 - 1978 for all of the sectors harvesting herring. Over the remainder of the 1970s this momentum was maintained. On the monitoring, recording and analytical side the St. Andrews organization continued to improve on coverage, precision and reliability and the assessment of the health of the stock was closely followed. In 1977 a weekly Bay of Fundy newsletter was initiated that became the mode for the reporting of news of all kinds relating to fisheries for the general area. It is all the more regretful that from 1980 onwards virtually all that had been gained in terms of fishermen's influence and effort was lost. This was the result of a number of events which began with a change in the Directorship of the Coop, which was built into its original rules. The position was of limited term and was to be filled alternatively from the two provinces - Nova Scotia and New Brunswick. There was a provincially-based split in the organization with the foundation of the South West Seiner Association, and inexperience on the part of the incoming president in the functioning of the by-now complex reporting system led to the loss of the central distributional aspects, leaving only the over-the side sales to provide leverage for higher prices. The unpopularity of this arrangement was as great as ever among the processing component and it would clearly be soon lost. In June 1980 the St. Andrews analytical programme detected a change in the pattern of reporting, by now familiar to the staff responsible, which by numerical analysis could best be explained by collusion between certain boats and certain plants, but this evidence, because it was circumstantial was not acted on. This made suspect the most vital of the function of the project, to produce information to ensure resource protection. Figure 3 shows how landings and TACs have varied over the period 1997 - 2000. Over that period there was also major changes in the departmental personnel responsible for local supervision who were replaced with individuals with less knowledge and interest. A change at the Regional Director level resulted in an more significant change for under the new Director the personal interest needed in the project was such that local supervision and interaction became almost absent. A new 10-year plan for the herring/mackerel fisheries introduced in 1981 hardly referred to the recent history of the original project, and the same can be said for the 1982 Kirby Report, which was intended to indicate the best policy to be followed by the Atlantic fisheries as a whole. All this meant that the unique experience by certain departmental staff and their unusually effective cooperation with fishermen, and indeed both sides of industry, could not be applied to other fisheries, and, of course, it was lost to the Bay of Fundy fishermen. These changes included scientific concl- usions that could be relevant to the exploitation of the cod stocks, which despite the projection of large increases in the Kirby report, declined and collapsed during the 1980s with the enormous social and economic effects that still remain. In fact, it is the way in which the history of the herring fisheries in this area can play a part in more promising develop- ments that has encouraged me to write this report. The new Director General, by advertising the overall results of the Bay of Fundy project, ensured that its original success became recognized world wide, through his attendance at the many meetings that were being held on management matters. The full effect of the 200 nautical mile national jurisdictional extension had become felt, as had the necessity for sub-allocation. Many countries took appropriate action but the change in the Canadian position was not emphasized. In the Bay of Fundy area the 1980s was a time when little local intervention was possible because of the lack of scientific staff, caused by position reductions and postings, but the remaining technical staff, who had been responsible for the setting up of the data base collation and analysis, continued to improve its reliability and coverage even during a period when under-reporting was thought on the increase. By the mid 1980s the author returned to the St. Andrews station and more staff were hired to support the assessment mandate, but still within the context of boat quotas . There had been no indications of biological stock failure despite significant environmental variability in the 1980s and the marked improvement in the length and the quality of the database, which had accumulated since 1969, ensured reasonably quick diagnoses. The degree of under-reporting during the season did not affect relations with either side of industry which, on a personal basis, was friendly and trusting, bearing witness to a long period of mutual co-operation, and the biological sampling regime was building up an exceptionally broad picture of herring biology. There was, over the same period, significant changes both in herring products demanded and in their availability but the industry was more flexible and better able to adjust. Two significant developments were the roe market and the developing salmon aquaculture industry, which interacted greatly with herring in the area. In the 1990s the St. Andrews herring programme renewed and improved the system of what could be called an in-season management approach based on close and frequent discussions with all fishery participants. One notable development was the involvement of the largest herring company in the area in the sampling programme which covered all herring landed with them. The data handling techniques took advantage of the improvement in computer techniques and knowledge of the stock structure was greatly increased. The result, over some 30 years, is the accumulation of a unique data set for a major fish component of the marine environment whose existence can claim to be one of the major achievements of the project. The reality of the changes are demonstrated by the fact that a few years ago the major company involved was taken over by the Weston complex, a global company of Canadian origin, who are now inviting buyers with an expected price rumoured to be not far short of a billion dollars! A policy review for Atlantic fisheries is now being discussed, and is widely reported to give an indication of attitudes, particularly those of the fishermen, whose influence is responsible for the current situation. Since 1975, the sub-allocation programme has become virtually universal, for all species in all areas, and it is a key element of departmental policy and function. At a recent meeting in Atlantic Canada, attended by representatives of both sides of industry, stakeholders involved in all important species and gear types, showed a level of distrust and frustration that showed that it would be impossible to gain their combined support for the objectives of the review. The arguments presented by the fishermen's leaders were well based and knowledgeable, making the idea that fishermen should be tested and licensed, if successful, quite ridiculous. They were certainly more professional that most departmental representatives. The fishermen's main argument was, not that they disagreed with the principle of sub-allocation but that its original promise had become subverted to serve the special interests of the processing side of industry. The resource had been diverted to fewer and larger groups controlled by the processing sector. These had received public money in large quantities, in the interests of creating shore jobs, and especially during the groundfish debacle, but had survived to use political inflluence at the highest level for favourable treatment against the owner-operator. A major problem was the transfer of licences and their concentration in the hands of individual companies that effectively converted a privilege, to be constantly justified, to ownership . The result, it was claimed, meant in practice, that the Federal Government had virtually lost control over, and ownership of, the marine resource. The resource had been privatized destroying both the force of the 1867 Fisheries Act and preventing its use to achieve public and not private objectives. This loss included the globalization of a publicly-owned resource to forces which can easily match the government in litigating power. The leasing process, by which the licence to fish is rented from the processor, who loses the expense of boat operation, but controls the purchase of the catch, to convert professional fishermen into low grade employees rather than shareholders in a worthy and dangerous profession, should be made impossible. Fishing rights should be given to professional fishermen. Other equally important issues were raised, but two that deserve to be emphasized are the proposed intention to license professional fishermen, an insult a group who are already professionals and which raises the point for fishermen as to who, amongst a department of amateurs, is going to define what is meant by the term. And second, is the apparent intent to manage fisheries by policy. It was pointed out that Canadian's rights are enshrined in legislation and policy is the bureaucratic way of evading rights, while those doing so maintain theirs. It would make impossible the achievement of the stated objective, to allow the industry to become involved in the creation of policy in Atlantic Canada and ignores the part played by organized fishermen, in getting to the current situation and the fact that they have been excluded for some 20 years. Even these concerns do not include that raised by the Aboriginal question arising from the Supreme Court's recent decision. This could be seen as granting fishing privileges, not to individuals, but to a poorly defined group, which surely raises the question of ownership in a different context. The theme of this report is that the Bay of Fundy herring fisheries, and particularly the seine fishery, have played a crucial role in the origin and development of modern fisheries management on a world-wide basis based on the acceptance of jurisdictional extension and the use of the process of sub-allocation. This has been used by most maritime countries to achieve, it must be stressed, sovereign ownership of its offshore resources. This is realized and accepted by a small and diminishing group of individuals who were direct partners in the original developments. This means that the elements that can be linked to its original success are becoming unknown and ignored even though they could well make a significant contribution to current problems, both technical and scientific. The emphasis is that management is, always was, and always will be, a multi-disciplinary and interdisciplinary process and attempts to oversimplify problems should be avoided. In particular, while sub-allocation is necessary to achieve results in anything but the most simple situation, it does not guarantee the achievement of any specific goals, which are the result of economic, social and political influence that themselves are dependent on the current situation and the social and political system that is being used, or challenged. 1 This person, the "Dean", is Captain Medford Matthews of Campobello who introduced purse seining in the Bay of Fundy in the 1930s and is the only fisherman to have been awarded an honorary Ph.D, by University of New Brunswick.